Harry Houdini, arguably the greatest and most famous magician of all time, states that he does not want his occupation in Who’s Who in America to read as magician. He repeatedly implores the Marquis editors to call him an “actor, inventor, and author, a request which is politely ignored. 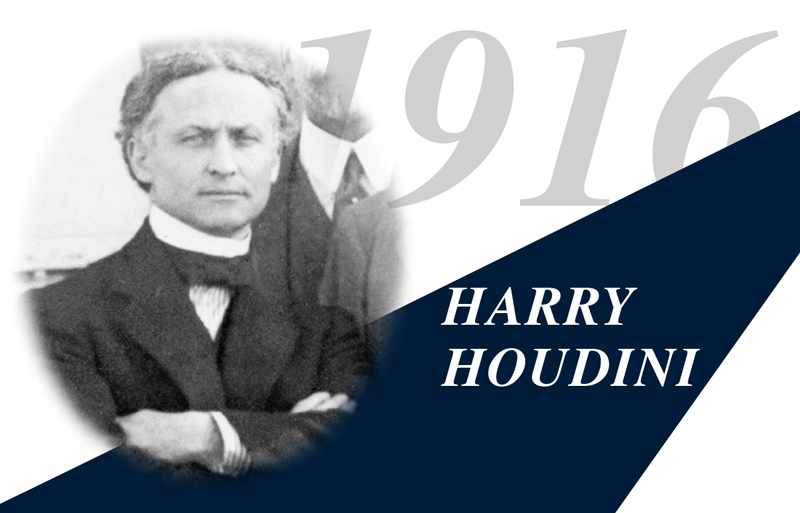 Houdini adds as a secondary option that he is a ‘mystifier, not a magician.’ Marquis Who’s Who diplomatically sticks to its guns, citing the many public sources which consistently refer to Houdini as a magician. The relationship between Houdini and Marquis Who’s Who remains cordial and he keeps up an ongoing correspondence to update his biography until his untimely death in November, 1926.